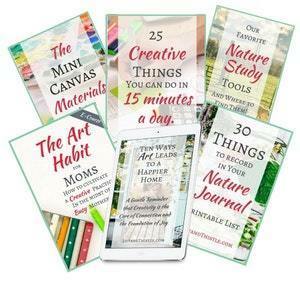 Here at Lily and Thistle, we are all about creativity at home. 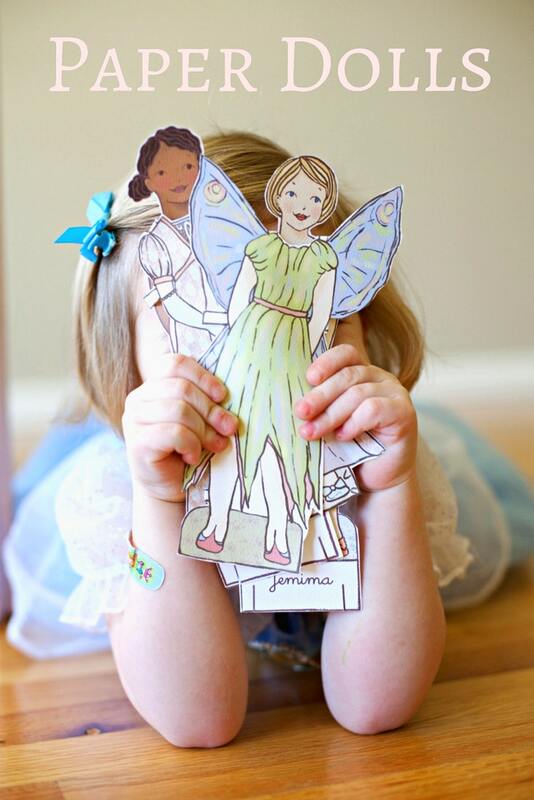 This “oldie but goodie” may seem a little outdated but it is such a great first time sewing project for kids and newbies alike. 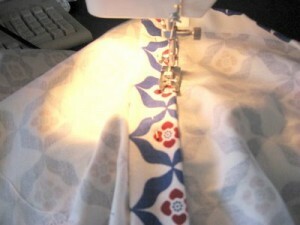 Sewing is such a great way to make art because it’s usable! 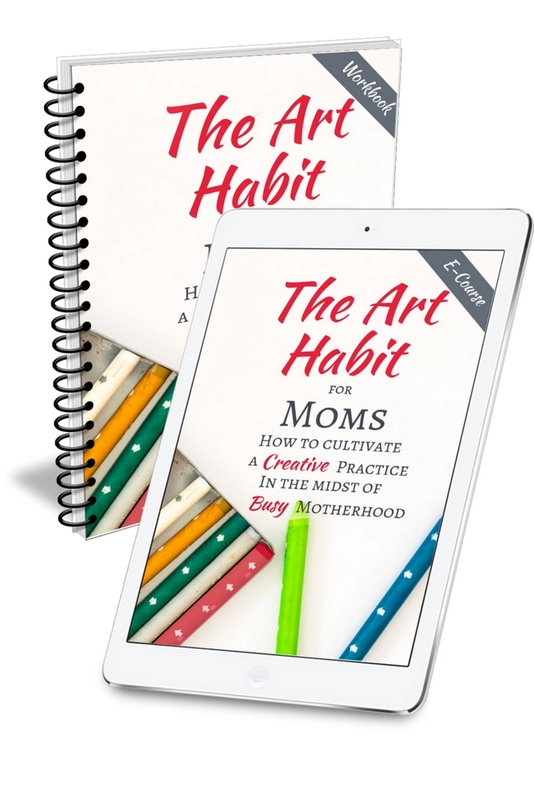 🙂 If you are looking for more ways to get art and creativity into your life, join our community below! 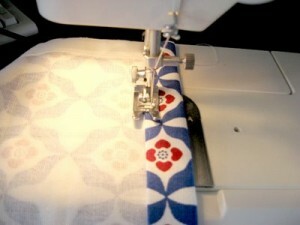 This project is so great because the table runner is already hemmed so it cuts down on the sewing time. Once you get the hang of it, you could whip one of these out in half an hour! I wanted to make my little sis-in-law a graduation/going off to college gift and I only had a few hours. So I had to get creative. 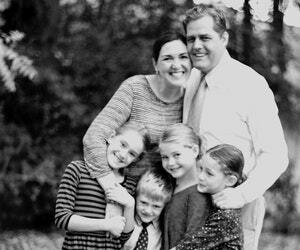 I thought I’d share the process with you. 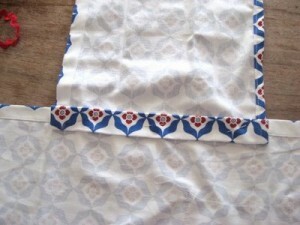 Get a table runner. 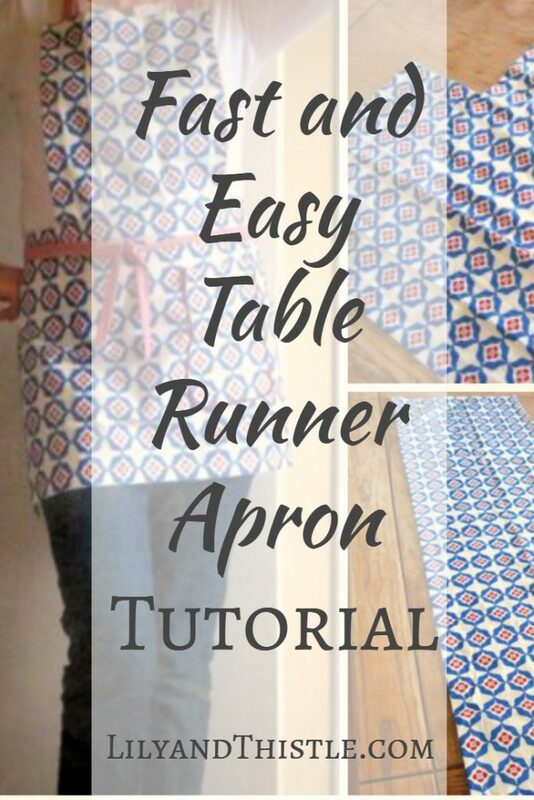 This runner is from Ikea, but you can find these everywhere (I’m on the hunt for a Christmas runner now that they are on clearance!). 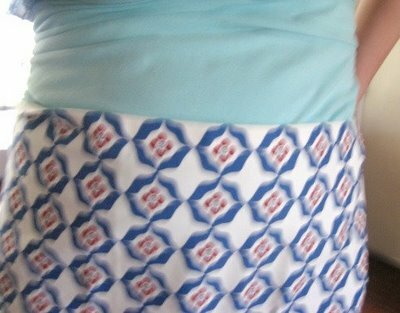 Wrap the runner around your waist (thinking of how wide you’d like your apron to be). 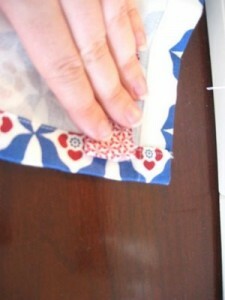 Or just measure from one side of you to the other adding an inch for your seam allowance. 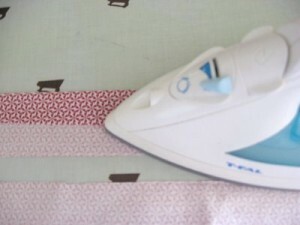 After you have measured, mark your runner and cut a straight line. Now you will have two pieces of material. One for the lower half of your apron and the other for the top half. Now it’s time for the top. 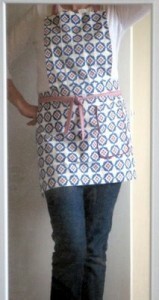 Hold the second piece of your runner up to you and decide how wide you’d like the top half of your apron to be. 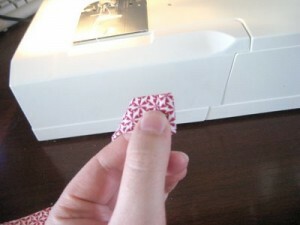 Mark (giving yourself an inch for seam allowance) cut, and fold over the raw edges and sew. 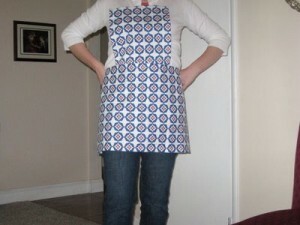 Now decide how long you’d like the bodice of your apron to be. Just hold it up to yourself, make the decision and mark it. It may help to put the bottom half up so you know where everything will lay. 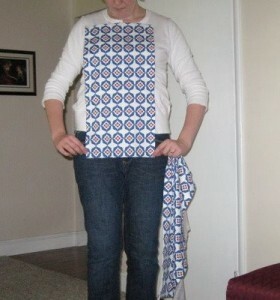 Step 6: After you have decided on the length of the top, mark and cut the fabric. Optional Pocket: You can use any of the excess runner fabric for a front pocket. 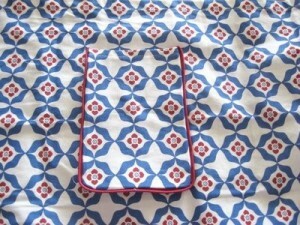 Decide on the size of pocket and where on the apron you’d like your pocket to be. 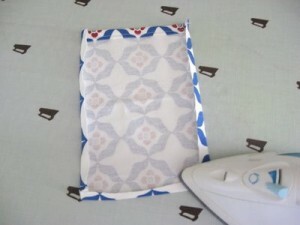 You can do a large or small pocket. 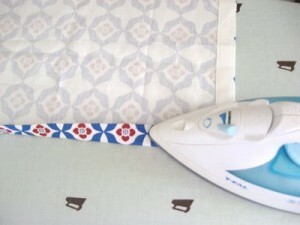 Just measure a square (or rectangle) and cut. Iron raw edges. I added red piping to give it a little bit of a pop! Now it’s time to sew the top and bottom halves together. 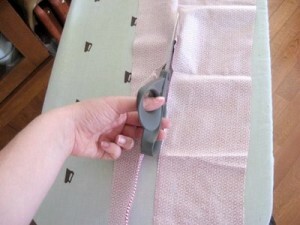 Make sure to fold over the raw edge of the table runner on the top half before you sew so you don’t have any exposed raw edges. 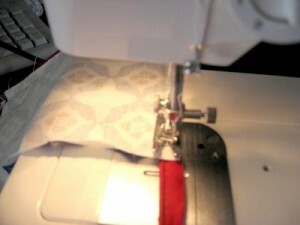 Then just pin to the middle of your bottom half and stitch! 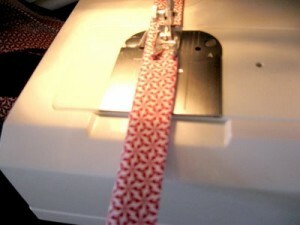 Now it’s time to make your apron strings and neck strap. 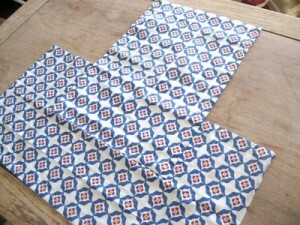 You’ll need a long scrap of fabric or you could use ribbon for this step. 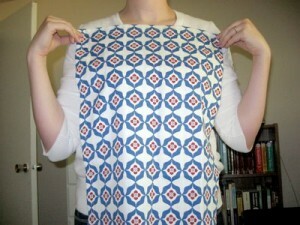 My scrap of fabric was about a yard long and about 1/4 yard wide. 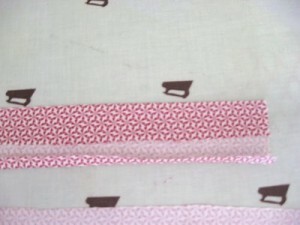 Cut your fabric into (approximately) 3 inch wide strips. You’ll need three strips. 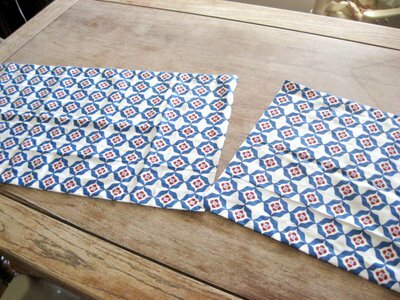 Then fold over once and then fold over once again making sure your fold ends at one side of the strap. Just make sure no raw edges are exposed. Sew together on the edge. 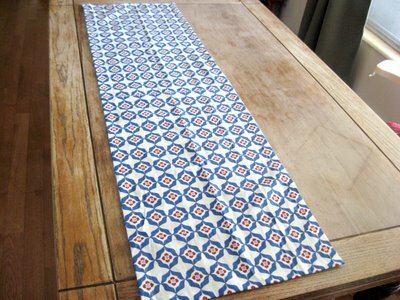 Now take one of your (three) ties and pin it to the top of your apron. Put it around your neck to decide how long you’d like it to be. Mark, pin and sew. 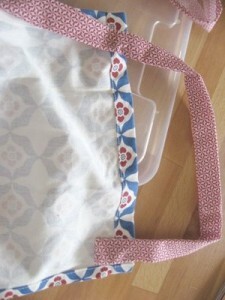 Make sure to sew the raw edges over on your straps before sewing them onto your apron. YOU ARE DONE! Enjoy! We put a gift card to Ikea in the pocket for my sis-in-law to get some kitchen supplies for school. 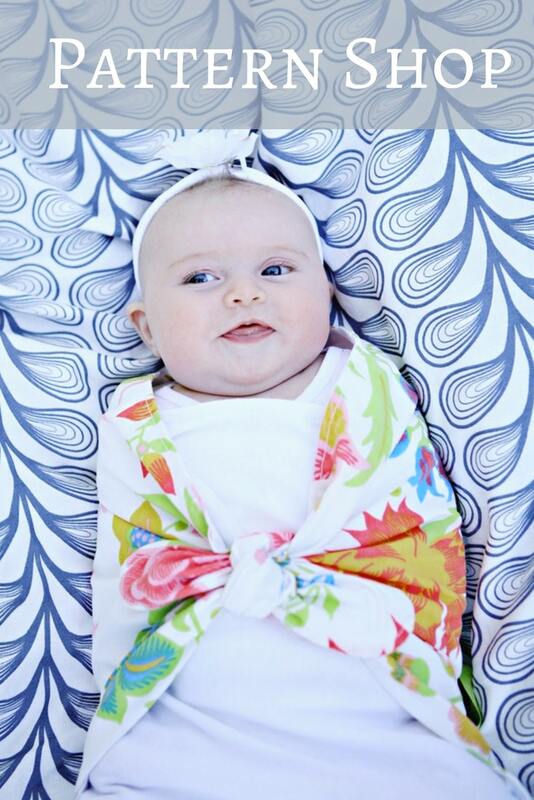 It was a great gift that was fast and easy to make! If you actually do this, will you let me know? I’d love to see your finished product!